Pool Services Goodyear: Has Your Pool Sprung A Leak? 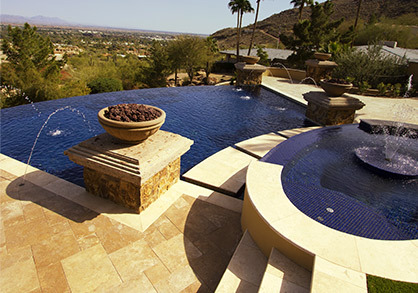 The average in-ground, residential pool in Goodyear, Arizona holds approximately 20,000 gallons of water. With this massive amount of water swirling around in your pool, it can be hard to tell if you’re losing small amounts because of a leak. After all, water is naturally lost from a pool over time thanks to evaporation and the tidal wave that’s created every time your nephew shows off his cannonball skills. It’s also possible to gain water when it rains, making it even harder to tell if there’s something wrong. But swimming pool leaks do occur, costing homeowners thousands of dollars in wasted water over time, and possibly creating problems that will be costly to repair. As your professional pool services provider in Goodyear, we’re well equipped to handle any and all of your pool maintenance needs. 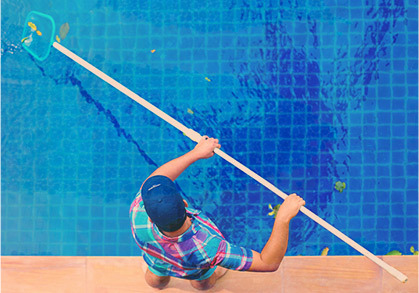 Keep reading to learn more about pool leaks, and be sure to call Universal Pool for service if you suspect a leak is draining away your water. Where Do Swimming Pool Leaks Occur? 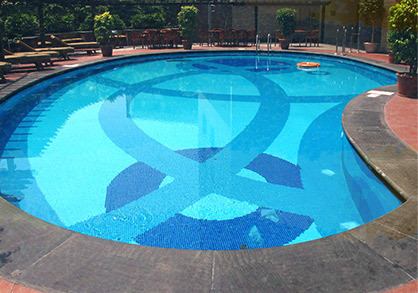 Below Ground – These leaks are the result of problems with the pool’s concrete shell. Above Ground – These leaks are the result of problems with pool’s plumbing and pump/filter circuit. The first thing you have to do when dealing with pool leaks is to rule out natural evaporation, which can be responsible for a surprising amount of pool water loss depending on temperature fluctuations, relative humidity and wind speed in your area. How Can You Spot A Pool Leak? Fill a bucket with water. Mark the level of water in the bucket and the water level in the pool. Place the bucket beside the pool and compare the two water levels 24 hours later. If the water level in the pool drops more than the level in the bucket, you probably have a leak. Does the leakage seem to increase when the pump is circulating or when it’s off? Does the pool lose water whether the pump is circulating or not? Call Universal Pool Service For Swimming Pool Leak Detection! Depending on the answers to these questions, you could have a leak that requires professional pool service. “Leaks in the concrete shell of the pool often require high-tech leak detection methods such as underwater listening devices and/or dye testing,” explains SF Gate. Don’t waste time and money messing around with potential pool leaks. Call the experts at Universal Pool Service! We can help assess your leak problem and provide whatever pool leak repair services you need! Contact us for help and start keeping your water where it belongs…in the pool!